NanoContraChem is a multi-year research Project funded by NATO in the framework of the Science for Peace and Security (SPS) Programme. 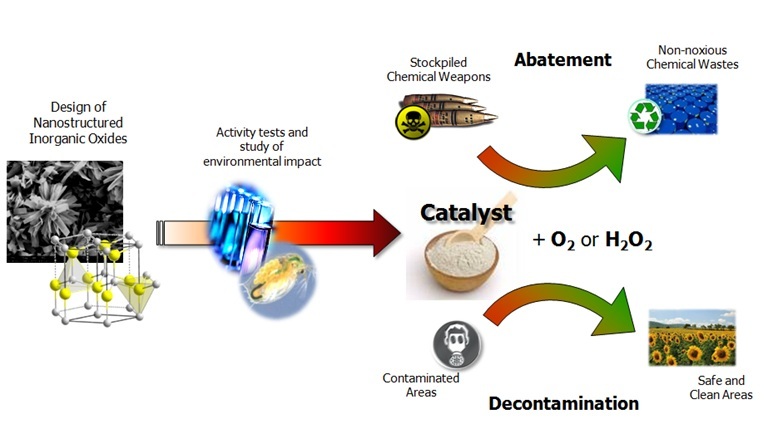 The main aim of NanoContraChem Project is to develop effective, cheap and reliable inorganic oxide systems for the catalytic decontamination of chemical warfare agents (CWA), in alternative to the current chemical detoxification systems, and to evaluate the possibility of a large-scale use of them in decontamination devices, assessing their toxicological impact on living organisms by rapid and reliable biological tests. The final solid catalysts will be based on innovative nanostructured inorganic oxides and will rely on the oxidative degradation, transforming and degrading highly toxic chemical agents into non-toxic products. Such systems will find practical application in the on-field straightforward decontamination of chemical, biological, radiological and nuclear (CBRN) agents on objects and personnel. These objectives are fully consistent with NATO’s Key Priorities: Defence against CBRN Agents, and, in detail, Methods and technology regarding the protection against, diagnosing effects, detection, decontamination, destruction, disposal and containment of CBRN agents. The expected results will have a positive feedback in strengthening the national and international preparedness and response to non-conventional threats. New catalytic materials for CWA decontamination will be available to national decision-makers active, at governmental level, in the field of defence against highly toxic chemicals accidentally released or potentially employed in terrorist attacks. 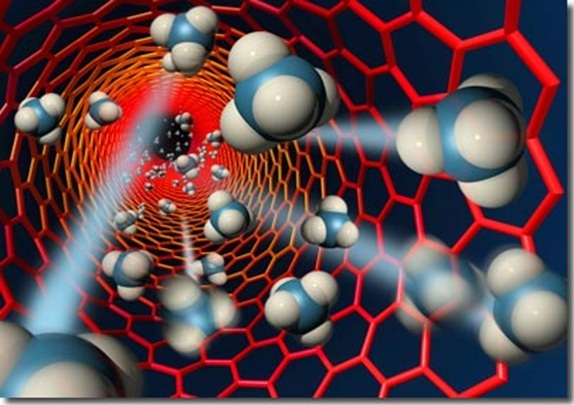 The Project “NanoContraChem” started on November 15, 2013 and its duration is three years. The official end date is February 24, 2017. Four research teams and two Countries are involved.